We pride ourselves in adhering to the highest clinical and ethical standards of treatment and seek to continually improve our level of patient care. 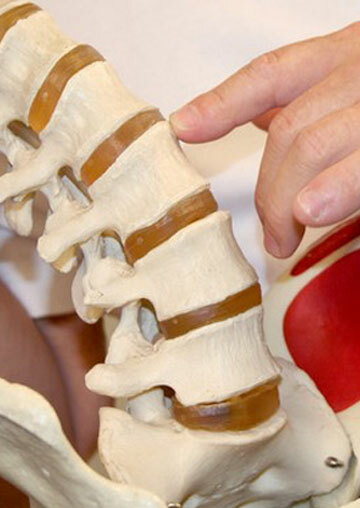 At Elite Chiropractic & Wellness Center, we incorporate the latest in modern techniques, tools and practices, to insure the absolute best results for our patients. We wish to serve our community by increasing the awareness and availability of the incredible healing benefits of chiropractic care and ultimately improve the lives of thousands, one patient at a time. We are committed as doctors of chiropractic to improving the total health and wellness of our patients as well as to maintain their future health through quality chiropractic care. Our staff is experienced, dedicated and shares a passion for helping our community stay active. Dr. Cam and Dr. Mel’s paths first crossed at Cleveland Chiropractic University, in Overland Park, Kansas. They were married and soon blessed with the birth of their beautiful daughter, Remy Grace. The Wolf’s decided the Murfreesboro area would be the perfect place to grow and raise their family. They are excited for the opportunity to serve the people of this wonderful community and look forward to contributing to its continued growth. Dr. Cameron Wolf is originally from a small town in Ohio and raised a die-hard Buckeye fan. He received his bachelors degree in Human Biology and his Doctorate of Chiropractic at Cleveland Chiropractic University. Following his graduation, Dr. Cam worked at one of the busiest Chiropractic offices in the Kansas City area. Dr. Melanie Wolf is originally from Kansas and received her Bachelors of Science degree at the University of Central Missouri. Following her graduation, she recieved her Doctorate of Chiropractic at Cleveland Chiropractic University. Dr. Mel has also been certified in the field of Animal Chiropractic care.